Sacomreal - Charmington Iris in distric 4. has approved the plan for 2017 with net sales of 2,514 billion dong and after tax profit of over 208 billion dong. Dividends are expected at 7-10%. A representative from Sacomreal said that the basis for the company's plan is based on plans to deploy 17 projects, selling more than 3,000 products. For the Jamona range, Sacomreal will complete sales of low-rise, high-rise units for the Jamona Golden Silk project; Sales of Sky Villas in Jamona City. Completed sales of low-rise, high-rise and high-rise buildings reached 50% at the Jamona Golden Silk project. Sacomreal - Charmington Iris in distric 4. With Carillon (mid-level), the company will launch sales for Carillon 6, Carilon 7, completing legal work and construction at 50% at Carilon 5. The Charmington line, Sacomreal, is expected to be completed by Charmington Plaza, 90% of Charmington La Pointe and 90% of Charmington IRIS. In addition, Sacomreal is seeking clients to hire 66 Pho Duc Chinh office, Sacomreal Plaza to generate stable revenue. To continue liquidating remaining assets, non-performing assets to recover capital for reinvestment of new projects. To increase the land fund, participate in the investment, purchase / sale / merger of real estate projects or companies with potential land fund, Sacomreal Board of Directors to shareholders through investment activities, purchase and sale of real estate. Products for the 2016-2020 strategy. Accordingly, the Board of Directors decides to invest, purchase and sell real estate projects valued at 70% or more of the total assets of Sacomreal and its branches as stated in Latest audited financial statement. Sacomreal management said that the current land fund of the company is 50 hectares, estimated to 2020 will be 1,000 hectares. On the source of capital, the Board of Directors of Sacomreal also submits shareholders to authorize BOM to negotiate, select investors and / or strategic partners by issuing shares, convertible bonds, issued value from 10 Up to 20% of chartered capital Sacomreal. Representatives of Sacomreal said that capital needs of Sacomreal need more than 10,000 billion VND, in 2017, the capital needs nearly 4,000 billion to finance projects. In 2016, the company completed the issuance of VND400 billion of bonds. In the period 2017-2018, the company plans to issue VND1 trillion of bonds. 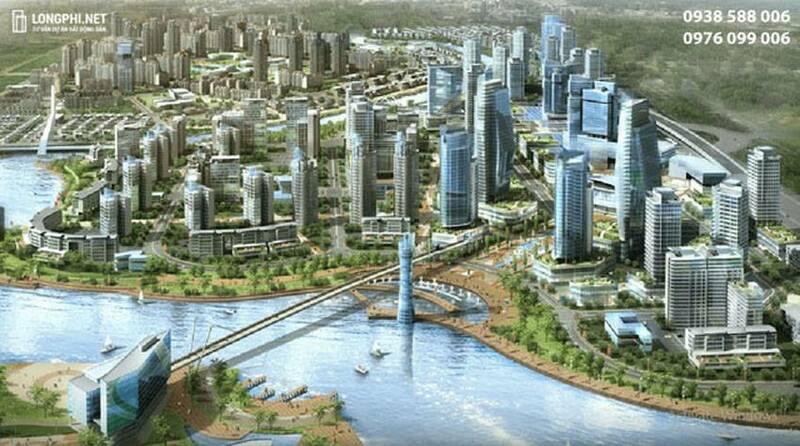 At the general shareholders' meeting, there were comments about cooperation with foreign investors to develop the project, representative of Sacomreal said that in 2016, the real estate market is good so the company has reinforce the legal work at the Charmington Tan Da project. In the process, many investment funds from Hong Kong, Japan ... to cooperate with Sacomreal. The parties are considering and investors from Japan also need time to consult with the parent company. In 2017, Sacomreal will issue nearly 16 million shares to pay a dividend of 7% in shares, a 5% performance ratio, capital from unused cumulative after-tax profit, expected to be implemented in October 2017. The number of shares after the successful issuance will be nearly 244 million shares.